Diamond Schmitt Architects has been selected for the fourth year in a row among Canada’s Greenest Employers. 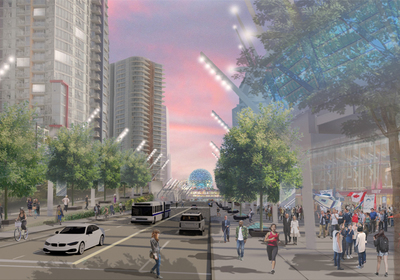 Diamond Schmitt Architects hosted a forum on sustainable cities, comparing Vancouver and London’s goals and challenges. A state-of-the-art hybrid academic facility designed by Diamond Schmitt Architects and Philip Agar Architect has opened at Fanshawe College in downtown London, Ontario. This article in Building Design + Construction Magazine looks at how cultural centres are helping to enliven their communities and catalyze new development. DIAMOND SCHMITT ARCHITECTS INC.: Old White Men are Clogging Up the Upper Ranks of Business, So What Should We do About it? In this article on employment equity and millennials and boomers in the workforce, Diamond Schmitt Architects is singled out as a growing company that is responsive to demographic change, citing a recent announcement of promotions where five of the eight architects advancing their careers are women. As the skyline climbs higher throughout the Greater Toronto Area, providing community services such as child care and recreational facilities is taking a new path. An expanded trades and technologies centre at Lethbridge College received top honours at the Prairie Wood Design Awards for the institutional building category. A state-of-the-art centre for advanced research focused on the fast-emerging cell therapies industry opened today at McMaster Innovation Park (MIP) in Hamilton, Ontario. The Civic Trust Awards in the UK has presented Diamond Schmitt Architects with a Commendation Award for Lazaridis Hall at Wilfrid Laurier University. For the tenth year in a row, Diamond Schmitt Architects has been recognized among Canada’s Best Managed Companies, an independent appraisal of business practices and sustained growth among Canadian-owned firms.